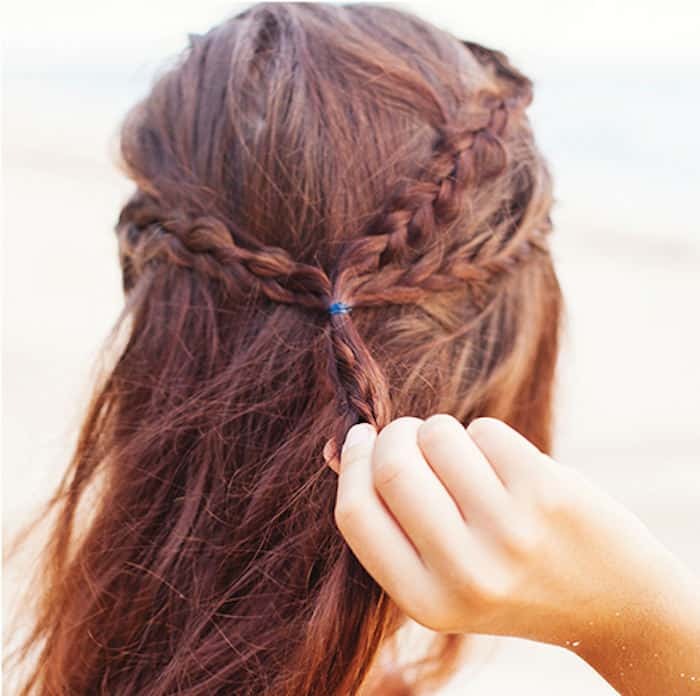 When you want that classical, but casual beach braid effect, go with this Greek beach style braided hairstyle. 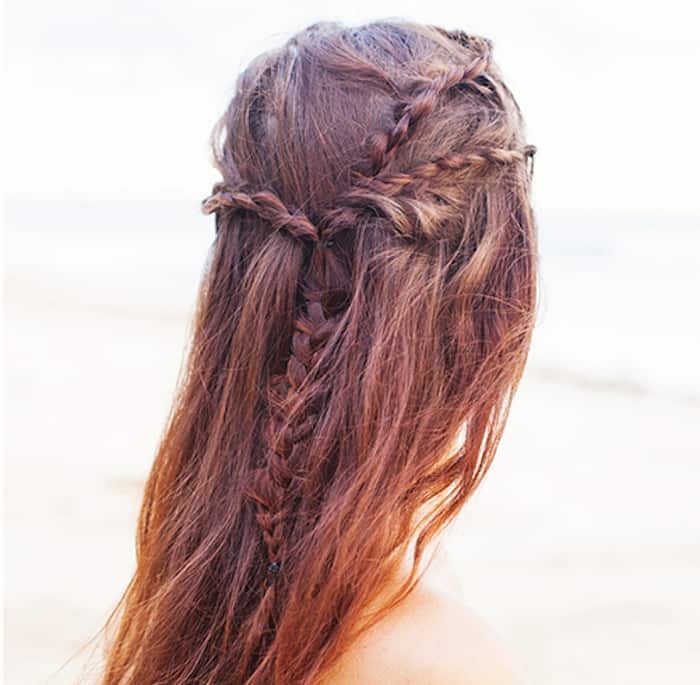 These braids involve 3 separate set of 3-strand braids loosely pulled back and combined into one at the back. The entire tutorial is above, but we break it up into individual steps below. Here it goes. The starting point is letting your hair down. Yeah, that’s pretty easy. 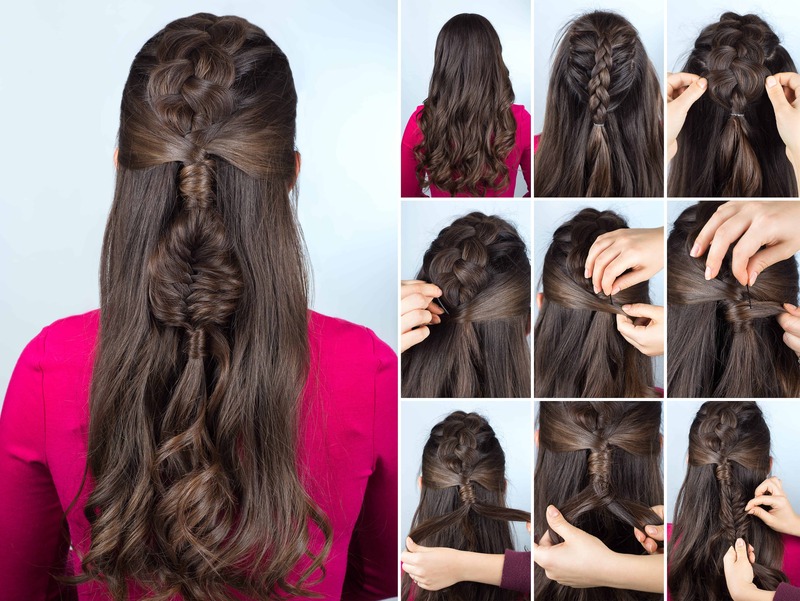 The second step is to apply a 3-strand braid to your bangs along your hairline as shown above. Complete the first braid (hairline braid) around to center back of head. Cinch off the first braided strand so it doesn’t unravel. 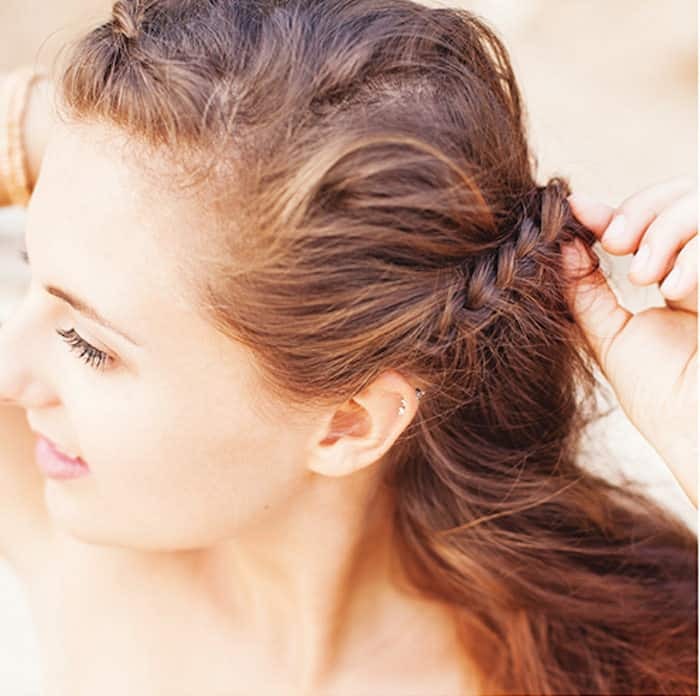 Create braid with 3 strands above the ear on opposite side of head around to center back. 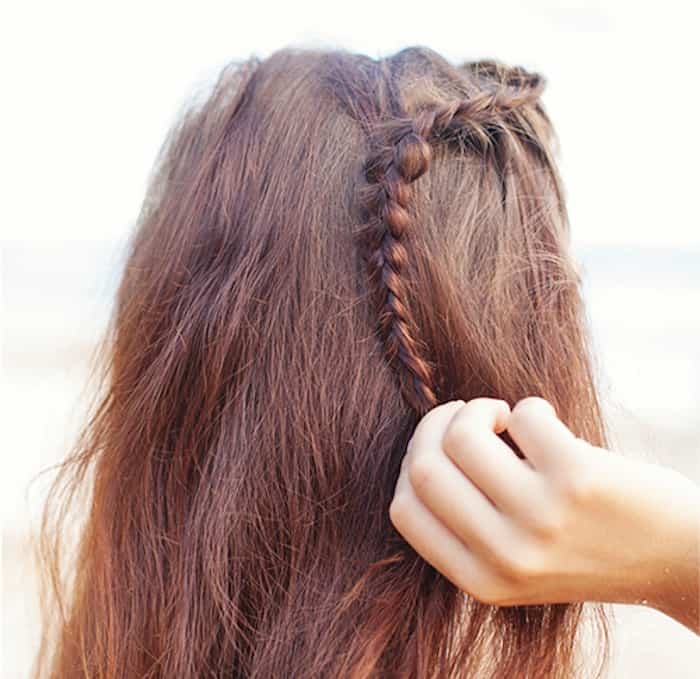 Create third braided strand from above ear around to center back of head. Tie all 3 braids together letting the combined form a low ponytail. 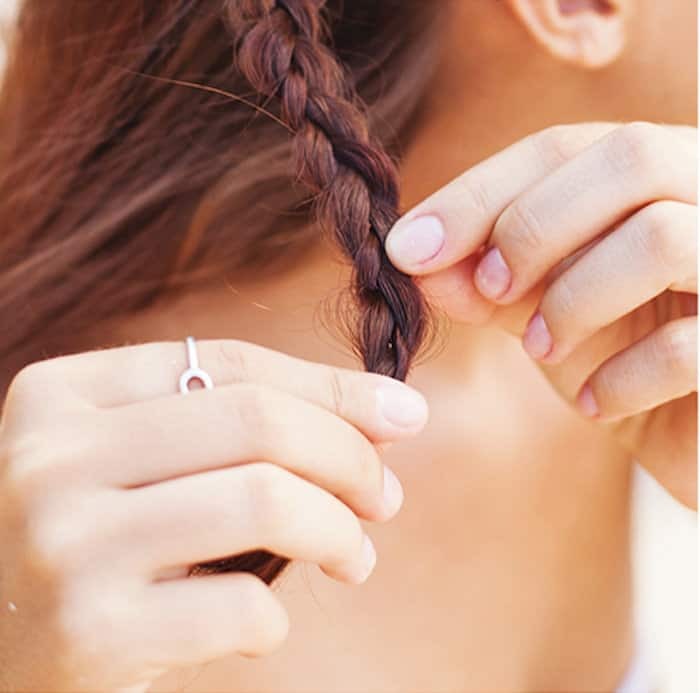 Note that you don’t want the braids pulled back too tightly. The finished look will have two loose braids on one side and one braid on the other. 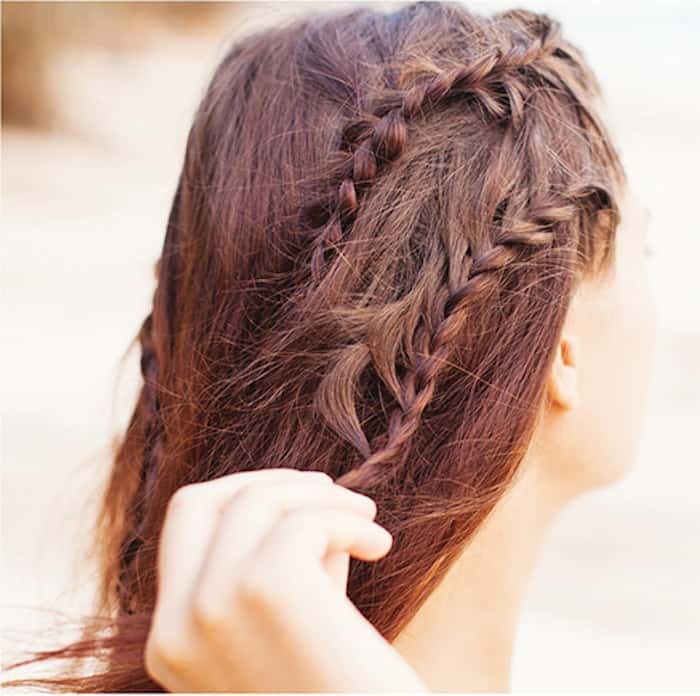 It’s a subtle, casual type of braid that’s very easy to do… so easy you could do it yourself without a mirror at the beach.